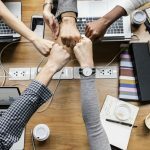 What is Two way Communication in Business? 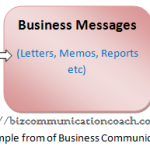 Business Communication Coach To Guide You! When Business Communication Process includes feedback as an essential element, it can be termed as two-way Business Communication. It is a complete communication system because here the message flows from the sender to the receiver and back to the sender. 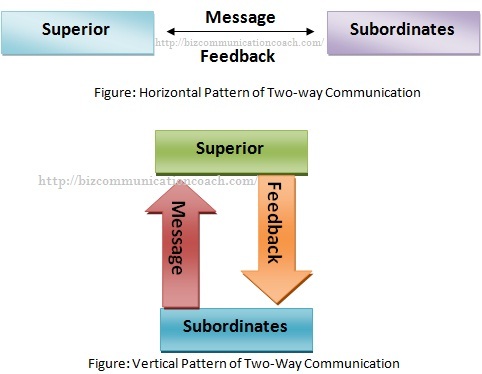 Two-way communication in business can take horizontal as well as vertical pattern as shown in the figure. Most of the business communication in the world is two-way Communication in deed. 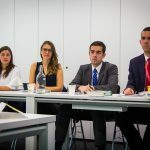 For example, face to face conversation, telephonic conversation, mail order, letter of inquiry, report to supervisors and so on. There are two types of Business Communication system named as One-way communication and Two-way communication. Though both the communication system transfers message or information, there are certain differences between them. When a message flows from sender to receiver only, it is called one-way communication. 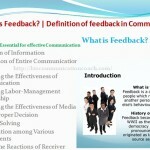 Here the sender communicates without expecting any feedback from the receiver. Radio or television programs or policy statements from top executives are examples of one-way communication. 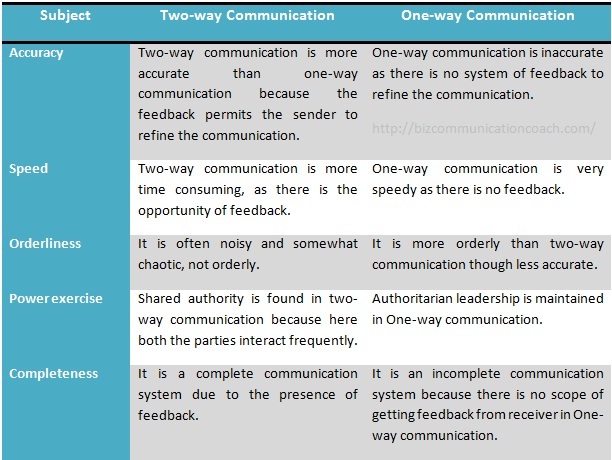 From the above discussion and comparison, we can conclude that there is gulf of difference between One-way and Two-way communication process. Two-way communication process is a complete communication system and it offers a lot of advantages over One-way communication process. So, every organization should practice Two way communication process instead of One-way Communication process. More Information about Importance of Two Way Communication in Business.